QUICK-CONNECTION SYSTEM FOR ELECTRICAL NETWORKS. 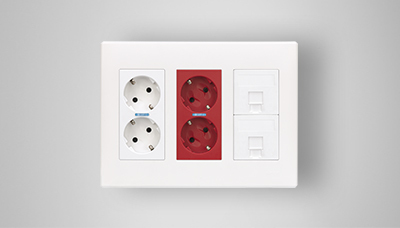 Certified system for fixed installations for installing mechanisms, socket outlets and luminaires based on the ‘walk-up and connect’ feature, minimising stay time at work sites. The connection is made by plugging the male connector into the female connector to avoid connection errors, and includes an anchor system to prevent accidental disconnection. The colour of the connector indicates the type of connection. 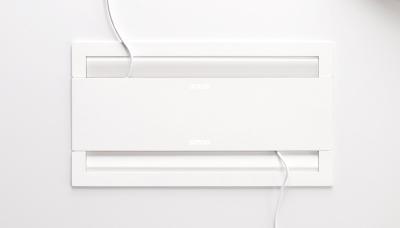 Connection system conforms to the standard for permanent installations. SUITABLE FOR ALL TYPES OF INSTALLATION. 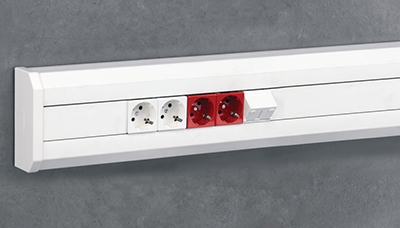 Connector versions with three and five poles for use in the most common installations. The colour of the connector indicates the connection type: white (standard lighting or network line), black (standard network line) and red (stabilised UPS network line).